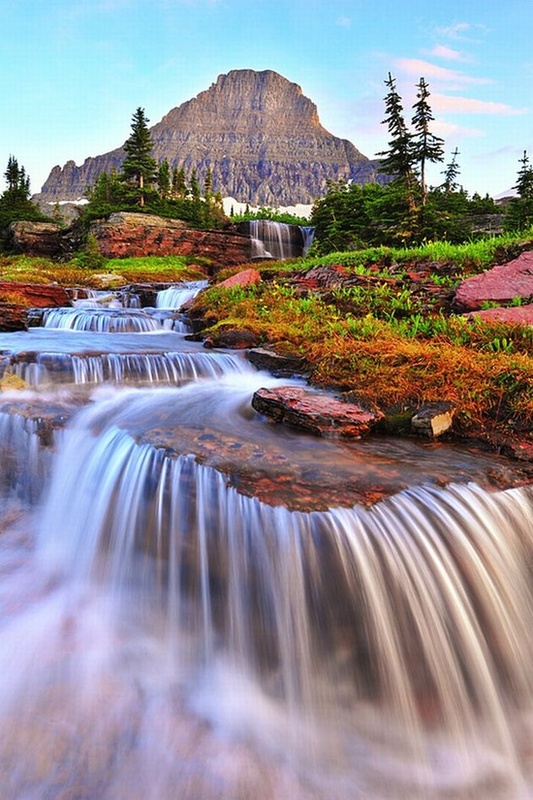 Glacier National Park is a national park located in the U.S. state of Montana, on the Canada–United States border with the Canadian provinces of Alberta and British Columbia. The park encompasses over 1,000,000 acres (4,000 km2) and includes parts of two mountain ranges (sub-ranges of the Rocky Mountains), over 130 named lakes, more than 1,000 different species of plants and hundreds of species of animals. This vast pristine ecosystem is the centerpiece of what has been referred to as the "Crown of the Continent Ecosystem", a region of protected land encompassing 16,000 square miles (41,000 km2).